There are specific safety procedures that should be adhered to when people utilize dangerous weapons. 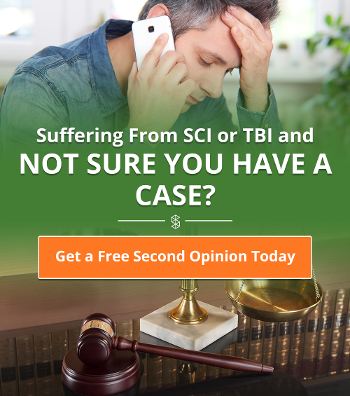 If any of these criteria were missed, there may be a situation where someone else was liable for your brain or spinal cord injury. When brain or spinal injuries occur during hunting or any situation involving a gun, there are numerous possibilities of where the error in someone’s behavior took place. Whether it has to do with the misuse of a weapon or poorly constructed equipment, there are certain safety procedures that should be adhered to when people get involved in potentially dangerous activities. You may think you know what the cause of your injury was; but often there are more elements at play in your case than you realize. With hunting accidents, for instance, most would expect that the most common cause is accidental shootings. Yet, according to tree stand safety awareness representatives, tree stand accidents are the leading cause of serious injuries among hunters. 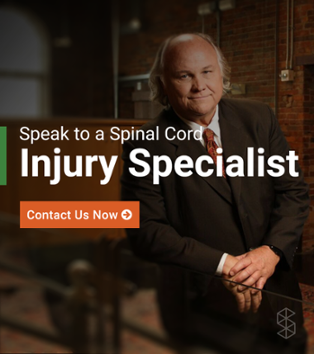 In order to understand where responsibility lies in your particular case, you will need to know all of the steps that should have been taken by those around you during the situation which caused your spinal cord injury from hunting, gunshots, or acts of violence. All firearms should be handled as if they have been loaded (even if you are unsure whether they really are). The muzzle should never be pointed at or near the direction of another person. A person’s finger should not be located near the trigger until they are ready to shoot. A stand shouldn't be higher than 20 - 30 feet above the ground - as the potential for injuries escalate the higher it is placed. A rope should be used to raise and lower bows and guns to avoid injury while climbing. Once in the tree stand you should be strapped in and the belt should be attached high around the chest to avoid injury in the event you fall. It is necessary to evaluate how such conditions were handled and if equipment was properly constructed and used in the safest way. If it is discovered that a mistake was made and someone else could be responsible for your injury, you deserve help. This should never have happened to you and you should not have to face the repercussions for someone else’s carelessness on your own. The maker of the weapon involved in the injury may be responsible if, for example, the gun went off when the safety was on. It could be a case of negligent entrustment where someone negligently provided another with lesser experience and dependability with the instrument responsible for the injury. If a child hunter was responsible for the accident, lack of parental supervision may be to blame, which would be an example of negligence. Parents are responsible for the child’s actions, so they would be required to pay for injuries caused by their children. Parental negligence may also occur in the home if they fail to effectively secure their firearms out of the reach of their children. In a hunting accident where you have been shot, the person handling the gun may be found guilty of reckless behavior such as drinking or abusing drugs before the hunting trip. Alcohol or drug related gun accidents can also occur in the home when the owner of the weapon is cleaning it or showing their guns to their friends. These often happen when the owner fails to empty the gun of ammunition or thinks it isn't loaded. Other cases of reckless gun handling would be if they decide to aimlessly fire the gun in the air, pass the firearms back and forth, or fail to keep the safety engaged (automatic and semi-automatic). The act could have been intentional to cause harm which would be of intentional tortious conduct, automatically placing the weapon holder responsible for the repercussions of their act. If the person who shot you refuses to cover your medical bills you can file a civil lawsuit for battery. A traumatic injury lawyer will help you gather evidence through formal and informal discovery tactics. If the location where the injury took place had surveillance, a lawyer will know how to go about requesting this material to be released. If other people saw the situation take place, statements can be gathered to arrange a settlement with an insurance company. Written statements may prove negligence over accident. Make sure you ask any witness if they would be willing to give their account of the accident. Insurance companies do not require notarization or sworn statements. You and your lawyer will file a personal injury claim to cover your medical bills, lost wages, and pain and suffering (emotional and mental distress). In the case of an accident, insurance companies will base their settlement on how severe your injury is. If your damages are severe enough, you will have to prove negligence. For cases such as these you will want a personal injury attorney. With their multitude of experience, they will most certainly settle your claim for a substantially higher amount than you could representing yourself on your own. You are not alone, allowing others to assist you through your case will help relieve some financial and emotional burdens and get you on your way to the recovery you deserve.